The winning streak goes on and on. 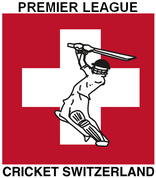 Geneva CC is getting very close to classify for the quarter-finals with a fourth consecutive win in the Swiss Premier League. Figures of the match are nevertheless misleading. With only 10 players on the field, Geneva won by 4 wickets with 18 balls remaining, but struggled hard against a very solid Colts side. The young Swiss Colts team won the toss and elected to bat on a sunny and warm day in the picturesque Vaudois countryside. Overall, Colts' batsmen scored carefully and at a rather conservative pace. Openers both scored 22 runs and after 20 overs, 3 wickets were down for a total of 92. Run rate remained decent at around +4 runs per over when Alessandro at 3 down was dismissed by skipper Anser at a crucial moment in the 28th over. The absolute breakthrough came in the 33rd over when Khurram snatched 2 wickets with style – a cool stumping given to Ahmad followed by a clinical bowl out. 151 runs for 7 in 33 overs. Tail-enders then withstood the pressure and managed to score 33 runs before being all eliminated with only 3 balls remaining. Indeed, Thomas' 22 helped the team reaching a healthy – but quite defensible – 182 runs in 39.3 overs. Knowing that Geneva CC's top order can start hard and big, Colts' opening bowlers Ashwin and Jai did a superb job. In 10 overs, only 18 runs were conceded and number 1, 2 and 3 were out with only 9 runs combined off the bat (and obviously 9 extras). Excellent line and length combined with sparking speed also led to two maidens in just 60 balls (one wicket maiden by Jai in the tenth over!). Geneva CC in a troublesome situation. The bleeding continued when Thomas took two consecutive wickets in the 17th over. Khurram out with 24 and Kashif going back to the bench for a duck. Anser then took responsibility as captain and started to score boundaries, singles and doubles. Assisted by a determined Massoud at number 7, the two men steadily lead the visitors to a potential victory. Colts were not able to contain them enough, although hope was still there when Massoud was lbw'ed by Dayn at 31.1 overs. Anser and Ahmad then merely carried out their job as they were supposed to. With 18 balls remaining, Ahmad finally brought victory to Geneva CC with a finishing four. Anser was named Man of the Match for his decisive 60 not out. All in all, a beautiful match where bowlers played a pivotal role in both teams. Swiss Colts were very close to getting rid of their opponents, but a very good innings by Anser and Massoud gave the winning edge to Geneva. Off to the next match!